(Seattle Times) Construction of new homes rebounded in December, helping to push activity for the entire year to the highest level since the peak of the housing boom nine years ago. Builders started construction at a seasonally adjusted annual rate of 1.09 million in December, an increase of 4.4 percent from November when unusually severe weather pushed activity down a revised 4.5 percent, the Commerce Department reported Wednesday. For all of 2014, builders started construction on 1.01 million new homes and apartments, an increase of 8.8 percent from 2013. It was the first time construction has topped 1 million since the height of the housing boom in 2005, when builders started work on 2.07 million homes. Construction activity plunged to 587,000 in 2010 and has been making a slow recovery since then. Housing construction topping the 1-million mark for the first time since 2005 adds to signs that the world’s largest economy is on solid footing. The economy created nearly 3 million new jobs last year, the best showing since 1999. Economists believe the reviving labor market will drive further gains in housing this year. Jennifer Lee, senior economist at BMO Capital Markets, called the housing report good news. While building permits fell for a second straight month, she said all the weakness in permits occurred in the apartment sector. “The housing system has some good support systems in place,” she said, noting that many banks have relaxed some requirements for home buyers. The unemployment rate for 25- to 34-year-olds, the biggest sector for first-time home buyers, has also dropped to a six-year low. For December, construction of single-family homes rose 7.2 percent while the smaller apartment sector, which can be volatile from month to month, fell 0.8 percent. Applications for building permits dropped 1.9 percent in December to 1.03 million after a 3.7 percent decline in November. By region, housing construction rose 12.5 percent in the Northeast and was up 8.8 percent in the South and 5.8 percent in the West. The Midwest was the only region to record a decline in December, falling 13.3 percent. 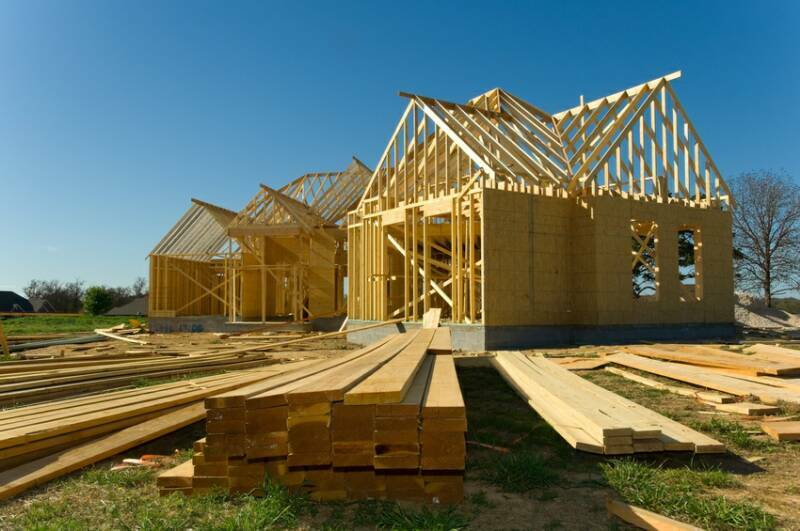 Despite the recent weakness in building permits, economists are forecasting continued gains in home construction in 2015. That optimism stems from rising employment and favorable demographics that are expected to drive future construction as more young people decide to purchase a home. The National Association of Home Builders/Wells Fargo builder sentiment index stood at 57 in January, down slightly from a revised reading of 58 in December. Readings above 50 indicate that more builders view sales conditions as good rather than poor. Broader economic trends point favorably for future sales. The unemployment rate fell in December to 5.6 percent in December. Nearly 3 million jobs were created last year in the best performance since 1999. And mortgage interest rates remain near historic lows. The 30-year fixed rate mortgage just dropped for a third consecutive week, falling to 3.66 percent, its lowest level since May 2013. Though new homes represent only a fraction of the housing market, they have an outsized impact on the economy. Each home built creates an average of three jobs for a year and generates about $90,000 in tax revenue, according to data compiled by the home builders. This entry was posted in America, New Construction and tagged 2014, new home construction. Bookmark the permalink.